That's too bad, because gene editing, for better or worse, is probably going to be one of the techniques that bring us what we need to feed our battered planet. The world (stop me if you’ve heard this one before) is not perfect. And the legal system is less perfect than the world: Laws are created by people who don’t necessarily understand what they’re trying to legislate and certainly don’t know the zigs and zags the world will start taking before the ink is even dry on them. They do their best, I suppose, but the results are often somewhere between shaky and disastrous. And then these imperfect laws sit around, getting more and more out of touch with reality. (My children will be happy to inform you that a similar process affects certain family members of theirs.) Eventually, someone will decide to use them to accomplish something that the original legislators hadn’t anticipated or, perhaps, hadn’t intended. And then, well, if you care about truth or justice or even plain common sense, you hold on to your hat and hope for the best. I was holding onto my hat last week, waiting for the European Court to decide how gene-edited crops should be treated under EU law. Now that the decision has come down, I’m torn. On the one hand, if the EU wants to subject gene-edited crops to intense regulatory review, which is the main result of the court’s ruling, well, it’s their continent. But I have to confess, I can’t stand the process that led to the decision. It was all about the law, and not a bit about reality. And we all know how perfect the law is. Laws are created by people who don’t necessarily understand what they’re trying to legislate. Here’s the deal: In 2016, several groups in France sued the country to ban gene-edited crops. As near as I can tell (and the record is pretty confusing), they don’t actually care very much about whether the crops themselves are harmful or dangerous. They’re concerned with pesticides, and they seem to be arguing that GMO and gene-edited crops are dangerous because they encourage farmers to use pesticides, and pesticides are dangerous. That’s already a little squishy—like trying to close the Maserati dealership because it encourages bank robberies, but the plaintiffs faced a bigger problem. French law specifically exempts crops genetically modified by mutagenesis—that is, by altering genes rather than adding genes from other organisms. And gene editing as it’s practiced today certainly seems to fit the definition. Okay, is that one exemption or two? When the law was first passed, the two categories were identical. Mutagenesis was something you did using ionizing radiation or mutagenic chemicals. Those were the only techniques, and they had a long track record of safety. But today there are other, newer techniques for changing a gene. They still don’t involve implanting foreign genes into a plant’s genome. They still clearly qualify to be called mutagenesis. But do they qualify for exemption from GMO regulations under European law? Opinions varied, and Bobek summed them up: Greece and the U.K. argued that mutagenesis is mutagenesis, and the new techniques deserved exemption as much as the earlier ones. The Austrians thought the exemption applied only to techniques in use when the law was passed, with the French and Dutch taking a similar position and arguing that mutagenic techniques had to be proven safe before being granted the exemption. The Swedes argued that new techniques are safer than the old. (Remember, most chemical and radiological mutation was completely random. You zapped a plant and then waited to see what might emerge. Random mutation is still used, but the focus of new techniques is targeted mutation—changing a specific stretch of DNA whose function is already known.) They thought gene editing should get the exemption even if technically it didn’t qualify for it. Wrong. The court usually takes the recommendations of the advocates general, but this time, it didn’t. In a decision issued on July 25, the court found for the plaintiffs and against gene editing. 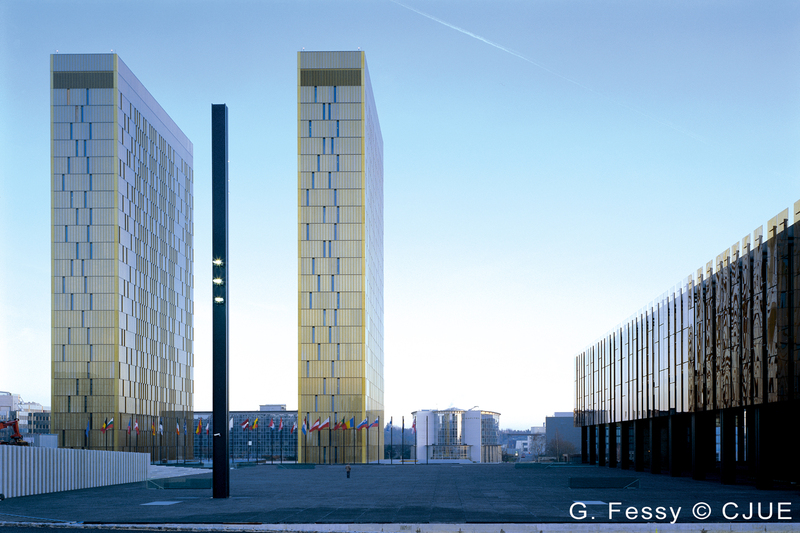 European courts don’t usually go in for American-style judicial originalism, but this time they did, ruling that the law as written intended to apply only to the technology that applied when it was written. Why the change? It’s pretty clear that the court thought of gene editing as a technique with unfathomable and unpredictable risks. The advocate general, for his part, thought the case was clear. This may be good law (though I doubt it). But it doesn’t look like good policy. Gene editing aims to accomplish the same goals as cross-breeding and mutagenesis, but more quickly and accurately. The end products, at least as the technology exists today, should be indistinguishable. If they’re not, that’s a problem. But that sounds like a question we could answer quickly with reasonable certainty. Instead, it sounds like Europe is going to regulate gene-edited organisms as if they were alien plants from space. The baby, in short, is going out with the bathwater. That might not matter at another time. But the world is not only imperfect, it’s getting hotter and colder and drier and wetter and a whole lot more populous. Our old plant breeds (none of them natural in any practical sense) will need to be updated. Gene editing, for better or worse, is probably going to be one of the techniques that bring us what we need to feed our battered planet. Europe, meanwhile, is opting out. With regulatory constraints in place, researchers will likely flock away from gene editing—why develop plants that can’t be commercialized?—and other countries will set the agenda and perhaps in the long run force Europe to accept products it might have had a hand in shaping, but chose not to. The baby, in short, is going out with the bathwater. We haven’t met the baby yet, we don’t know yet if we’d like him, we have no idea what he might grow into. But out he goes. Certainly governments need to pay attention to the safety of the food supply. Not every idea is a good one. But a decision like this—in effect rewriting a relatively sensible law for no clear reason—is a crummy way to go about it.